The feeling you get being outside on a beautiful sunny day is almost indescribable, but we all know that feeling so well. Soaking up the sun, watching the kids run around with big smiles and feeling at peace and one of the simplest, yet greatest pleasures. 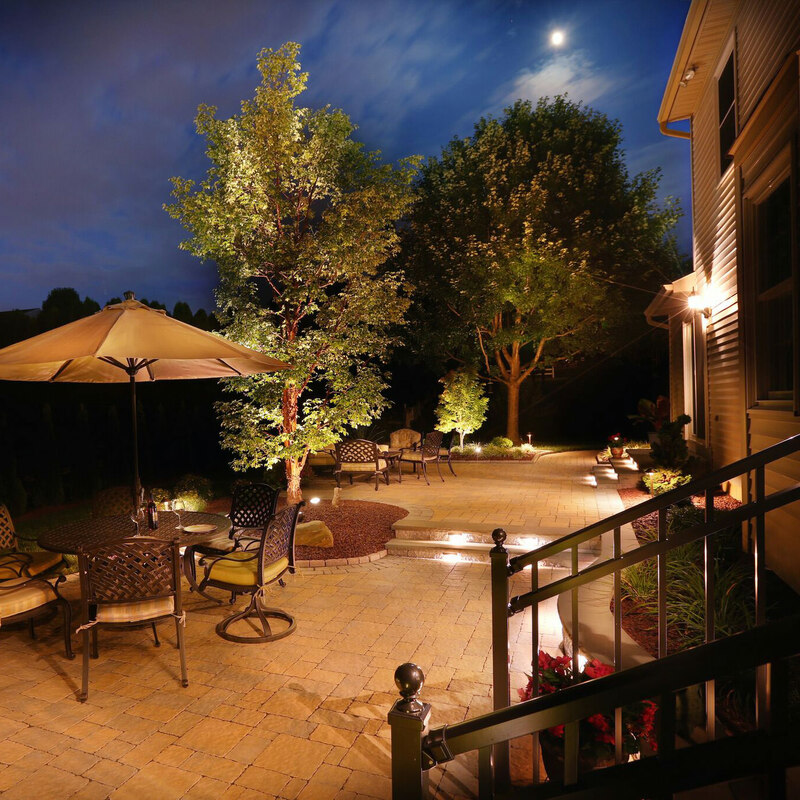 Being truly in love with lounging outside of your home means that you must first, truly be in love with the outside of your home! 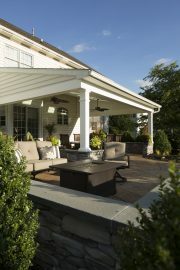 One way to transform your outdoor living space into a haven or oasis would be to bring structure to the area. 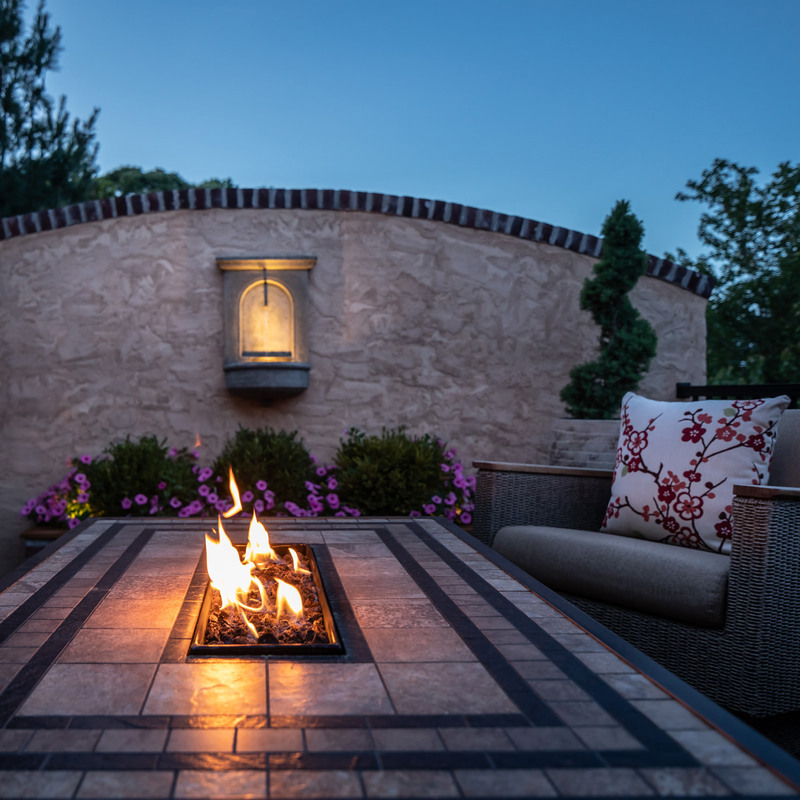 Whether your space allows for a grand plan or a finite fixture, the introduction of a structural element in the backyard will provide aesthetic and the feeling of protection and instant relaxation. 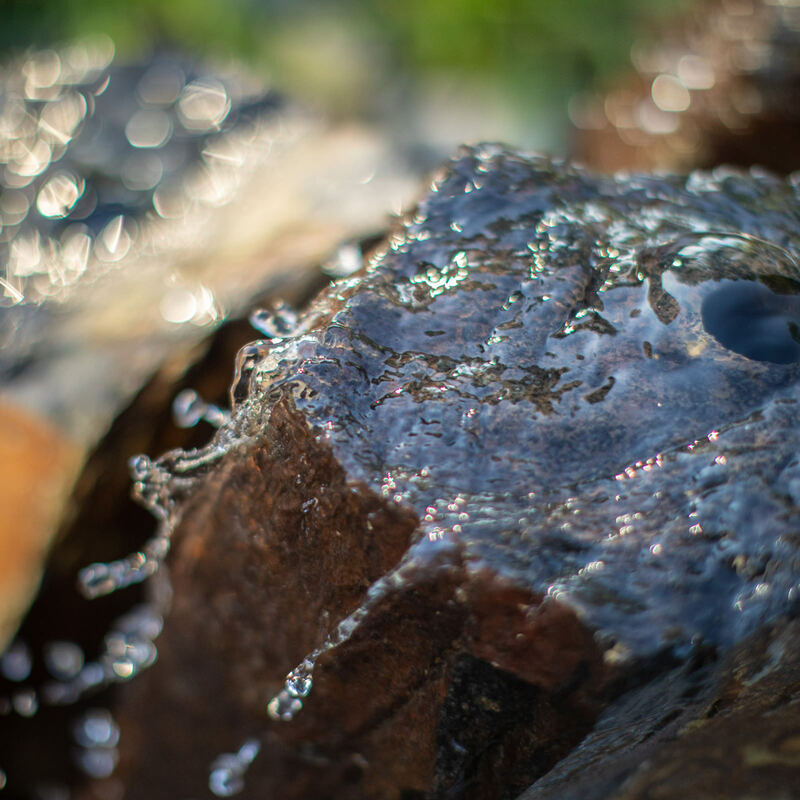 From the modest to the mega, let’s explore a few structural elements that will go a long way in your landscape! For those who do not have the biggest backyard on the block or those who love breaking up their outdoor “rooms” with natural elements, large planters are the way to go. This is the easiest route to see instant gratification within a day or a weekend. Looking for privacy? Tall planters paired with lush greenery, tall grasses and flowers that spill over the container edge is a beautiful solution to block out close neighbors or create an aesthetic barrier from a pesky side street. Large/long planters are perfect for defining a patio border, almost creating a street café feel. Plant flowers and grasses that touch upon the senses, grasses that rustle in the breeze, colorful flowers that delight in sigh and smell, you can even plant shrubs or ornamental trees to flank the entrance of the patio, creating a dramatic definition! Mixing a few different height planters in a designated area a perfect way to give your outdoor living space much needed dimension. Just as the planters differ in sizes, the plants should differ in variety as well. Try mixing different heights, colors and shapes to give this area textural interest. Designer tip: don’t let your planters go to waste in the cooler months. Change up the planters to cater to the season with sprigs, branches, berries and lights; it’s comforting to see something beautiful outside when the temperatures are keeping you in! An arbor adorned with climbing vines and colorful flowers, like clematis, is a simple way to welcome visitors into the backyard without any spoken words. A trellis, however, is a structural way to bring visual interest to the backyard. Whether built against an existing wall or shed, or freestanding acting as a living garden wall, this structure will bring privacy as well as definition to the outdoor space, all with a designer character. Feel free to encourage climbers like sweet smelling jasmine or romantic roses to wind their way around the trellis for a sensory treat to be enjoyed during the warmer months. Pergolas always find their own unique way to define an outdoor living space without closing it in, creating an open-air sophisticated elegance. Pergolas are classic yet versatile, traditional yet contemporary, and can be customized to fit any situation. Whether incorporated into a deck, patio or freestanding in the garden, the dappled sunlight is just enough to admire but not quite enough to make you uncomfortable. Customizing a pergola to fit your property and your needs is quite easy and there are tons of options to choose from like wood or vinyl construction, slide across canopies, recessed or pendent lighting, ceiling fans; you name it, you got it! You will find that a pergola in your outdoor living space will act as a focal point and gathering place for those in your company, the mood will get lighter and the relaxation will be deeper. A true structural gem to include in your outdoor oasis! 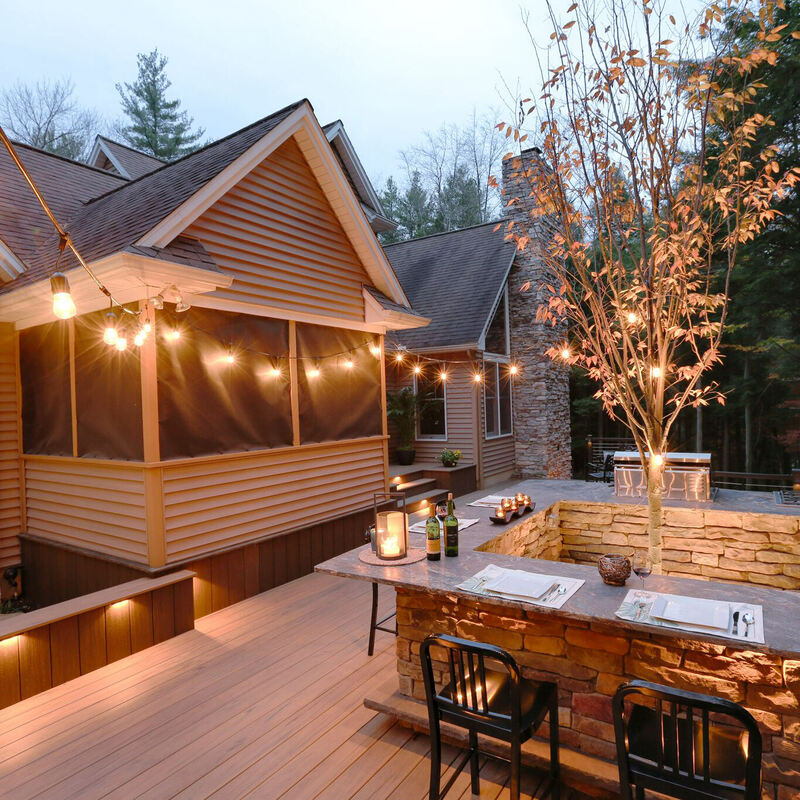 The ultimate structural element to include in your outdoor living space is a roof extension over your patio or deck. A roof to cover your outdoor living space creates a seamless inside to outside transition which expands upon your livable space. This space can include all the comforts of the inside with a protected open-air feel, letting your enjoy the outdoors rain or shine! 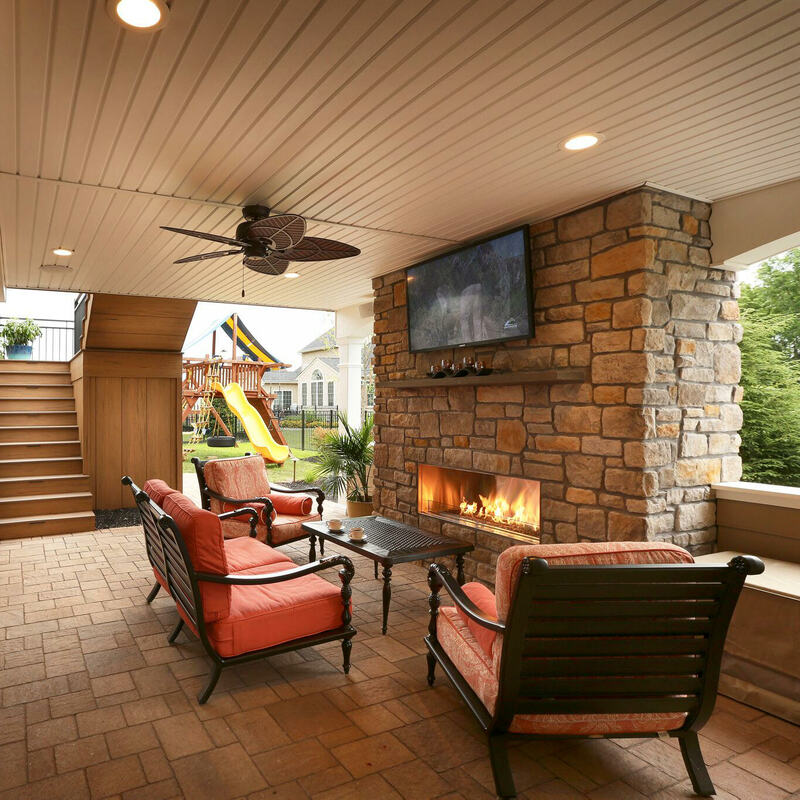 From comfortable furniture, cozy fireplaces to flat screen tvs, this space can house it all making it the epitome of your backyard, maybe even your neighborhood! 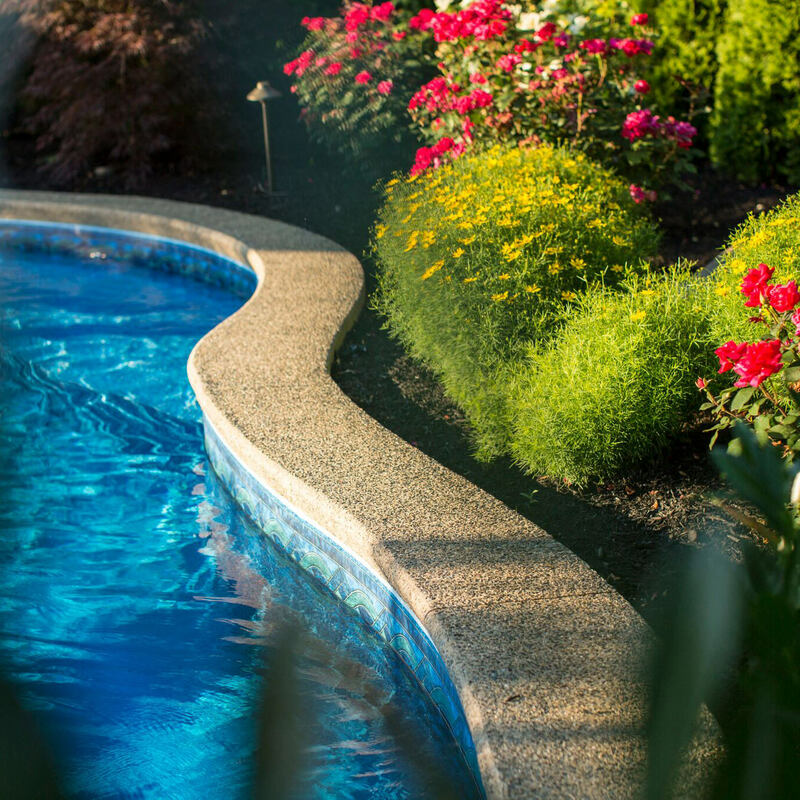 With so many possibilities for your own backyard, it is hard to decide where to even start, but by contacting a landscape designer, you are heading in the right direction. 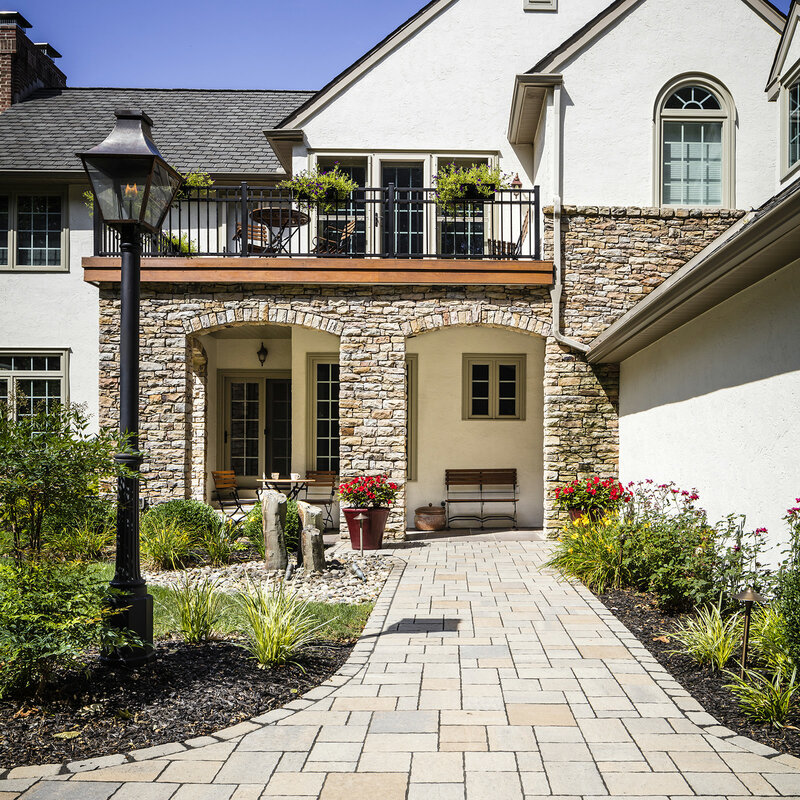 A trusted and professional landscape designer can help you address any existing problems in your backyard like sun exposure, swales, grading issues, and they will also be able to involve a structural engineer to ensure your project will be built properly, safely and with code compliance! Don’t feel overwhelmed, this is why you contact the professionals! 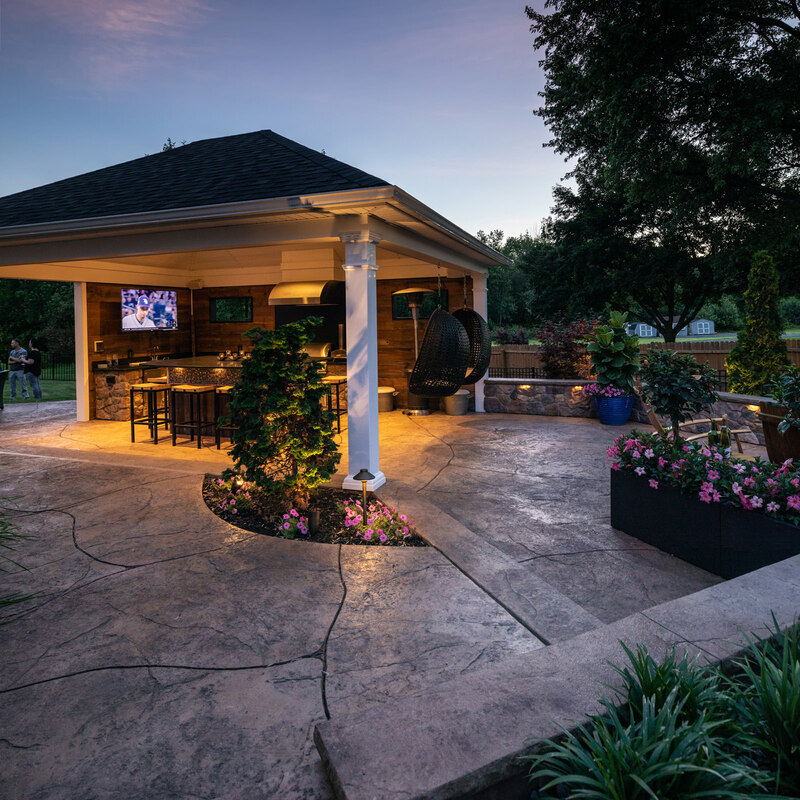 MasterPLAN Landscape Design would love to sit down with you and your family to talk about all of the possibilities for your outdoor living space! 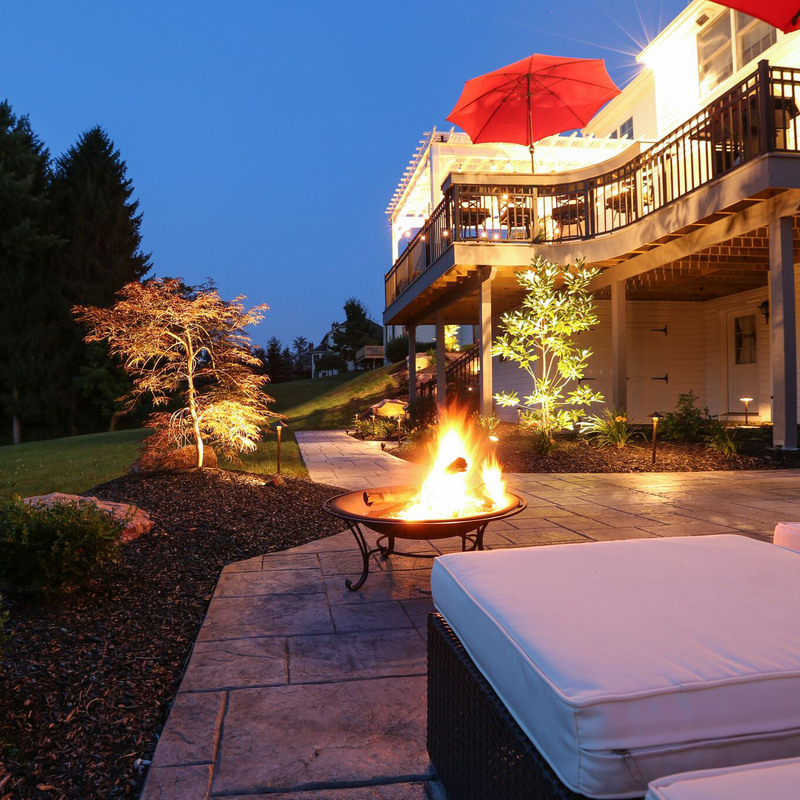 From the Poconos, Lehigh Valley and through the Main Line of Philadelphia and western New Jersey, we understand that no family or property is the same, which is why we focus on custom-tailoring each project to be unique and beautiful in their own regard. When you are ready, reach out to MasterPLAN to open a conversation; we would love to welcome you into the MasterPLAN family!